lolllllllllllllllllllllllllllllllll. Last summer, I tried to give her a small framed picture as a present. Joan pops out with, "I was your Marketing Instructor for Heaven's Sake! Didn't you learn anything in my class.? You'll never grow your business if you give it all away. However, you will grow your friend-base!" The hardest thing to learn is how to charge friends. I have seen a 16x20 of this photo, coming out of my printer, (NO... I did NOT pirate this image..... Kathy sent it to me to print for her....) anyway...It is stunning!!! I told her as it was coming out of the printer that it was amazing, and I stand by that... I really love it!!! After earlier reading what it's like driving in the car with Hubby-Daddy.... Understandable!!!! lollllllllllll. 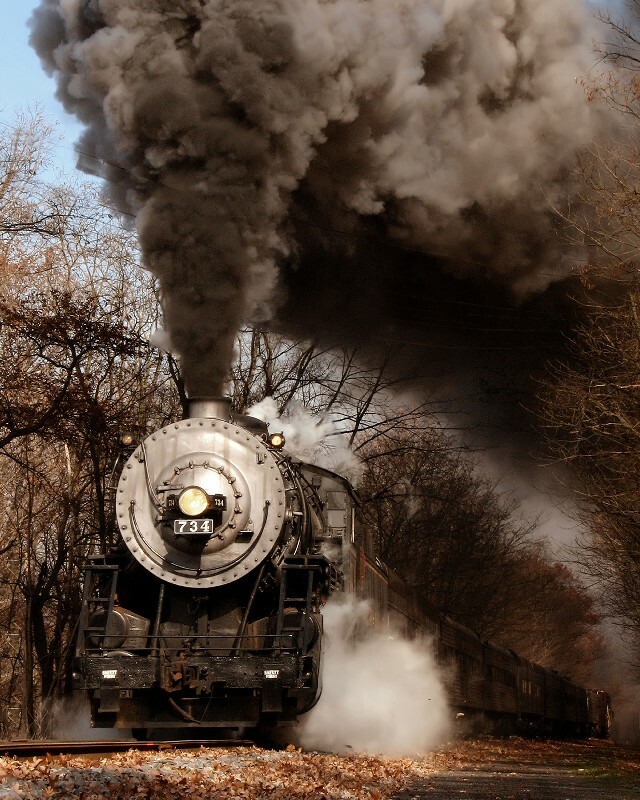 This is one of the best locomotive pics I have seen on the net Kat. It has all the right ingredients, the smoke the angle taken and the loco itself, all terrific. It looks to me like the opening frame to an old western! It's simply an awesome image. I liked thsi picture the first time I saw it (can't remember where that was....) it is still excellent. Love it, well done.